It is easy to get around when on holiday in Copenhagen. There are various means of transport in the city - buses, trains, harbour boats, Metro and bicycles. Find help to purchase tickets and rent bicycles. Tickets for Public Transport around Copenhagen. Depending on your travel plans, you have many options where tickets to buses, trains, harbour boats and Metro are concerned. Buy a City Pass for 24 or 72 hours and get unlimited travel in zones 1-4. These 4 zones are in Copenhagen and the surrounding areas (including Amager). 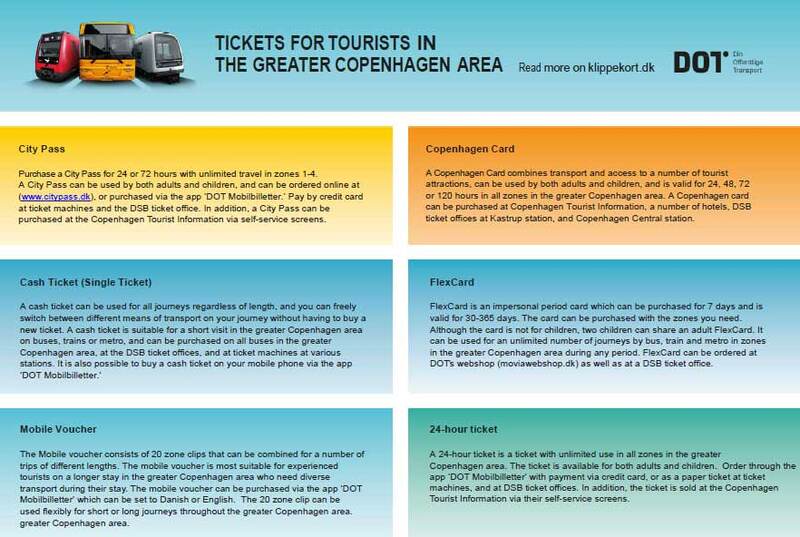 A Copenhagen Card is valid for 24, 48, 72 or 120 hours. A Cash Ticket is available for travellers who occasionally use public transport. This ticket can be purchased on the bus. A ticket is valid only for the zones purchased, and the time allowed. A 2 or 3-zone cash ticket is valid for one hour, while tickets for 4, 5 and 6 zones are valid for 90 minutes. Tickets purchased for 7-9 zones are valid for 2 hours. Cash tickets cost between 24 and 108 DKK, depending on the zones needed. 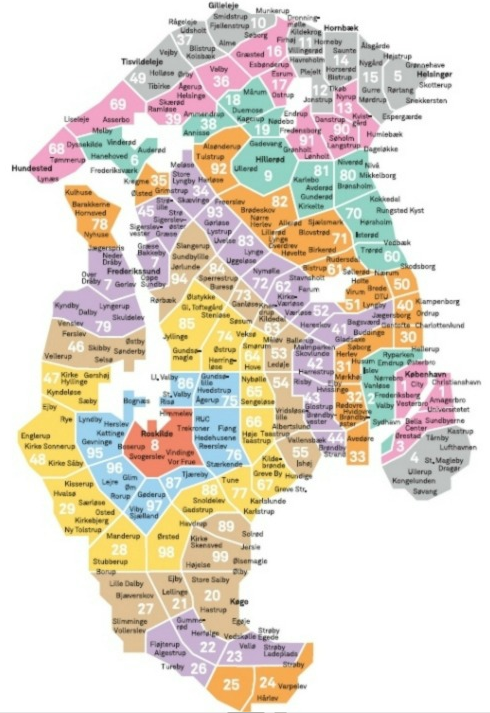 Zones 1 and 2 cover a large part of the greater Copenhagen area and cost 24 DKK. 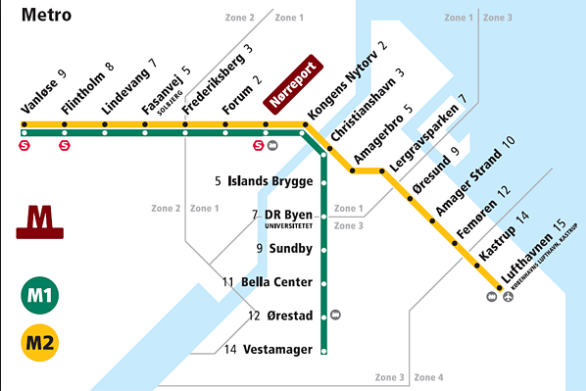 Three zones are needed for tickets between Copenhagen Airport and Copenhagen Central Station. Two children under the age of 12, accompanied by a paying adult, travel free. Two children under the age of 16 travelling together without a paying adult, can travel on an adult ticket. A Flex Card is valid from one month up to one year and can be purchased for one week. Although this card is for adults, two children can share an adult ticket. Tickets should be kept until the journey is completed to show to the ticket patrol if requested. A Mobile Voucher has 20 clips and is great for tourists who desire to spend more time in Copenhagen. A 24-hour Ticket provides unlimited use in all zones and can be used by adults and children. All tickets can be used on all modes of transport - buses, trains, metro, and harbour buses - and can be purchased online at DOT's webshop, moviawebshop.dk. Tickets can also be purchased at Copenhagen Tourist Information, DSB offices, most train stations, and Copenhagen Airport. If you travel without a ticket, do not purchase the correct amount of zones, or overstay the time stated on your ticket, you risk a fine of 750 DKK. You might prefer to travel by bicycle. This is a great and safe option in Copenhagen, otherwise known as "Bike City." Rental locations can be found in many places. There are advantages to biking. You are able to move around at your own pace, go off the beaten track and you can stop whenever you feel the urge to smell the flowers, coffee or bacon. Copenhagen is a small city, so depending on where you stay, most of the attractions and activities are within walking distance. Walking gives you a great opportunity to get up close and personal with all the sights and sounds of Copenhagen. It also allows you to meet and greet the locals who can tell you about the best spots or the secret hang-outs in the city. 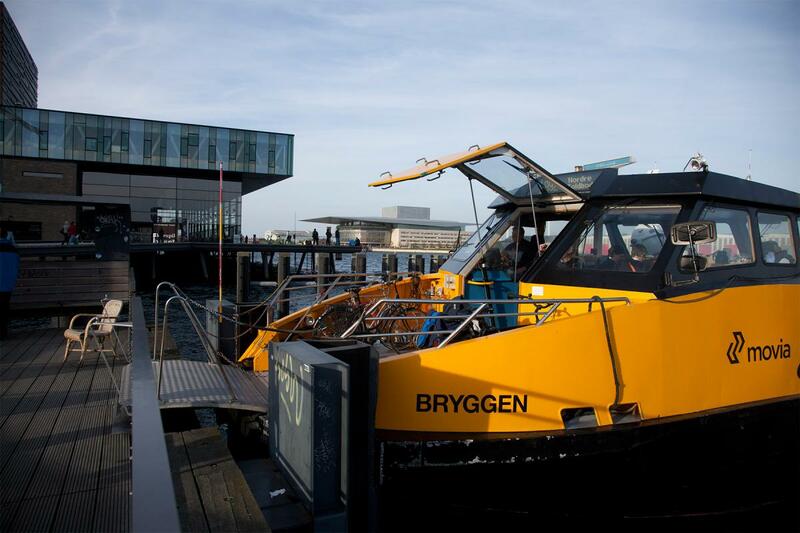 Learn more about getting around in Copenhagen.